was surfing and stumbled across this info thought it was interesting. University, is the largest study to date into player behaviour and attitudes to the industry. highlighting that online gamblers view their pastime as simply another form of leisure activity. online poker and casino player to date. significantly better levels of customer service, even when they’d had a dispute with a site. the biggest named sites, with 40% saying they ‘never’ played on smaller sites because of this fear. assurances such as the eCOGRA ‘Play it Safe’ seal (61%). popular of all, cited by 65% of respondents). say they were simply 'averagely' skilled. one table to maximise winnings. outcomes - all players might do well to take note here. regarding fair play, responsible operator conduct and provisions to address problem gambling. thinking of policy-makers, regulators and operators alike". explanatory work and the client. I’m not up to speed as to what goes on in the Online Casino and Poker Industry. I do come across material about eCOGRA, now and again! Their site states: eCOGRA, a non-profit organization, is the independent standards authority of the online gaming industry, specifically overseeing fair gaming, player protection and responsible operator conduct. The function that eCOGRA performs protects those who engage in online gaming where it is lawful. Just how effective have they been? 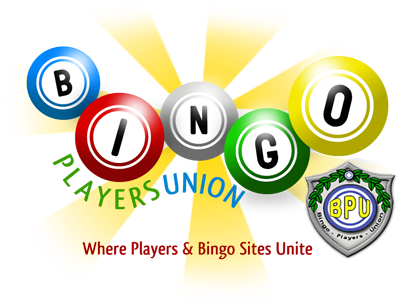 My main focus always has been the Bingo Industry, and I seldom venture outside it and leave that segment to Sites like OPU. But sometimes Bingo and Casino action is run by the same company, as is the case with Bingo Vega and Casino Vega. Seems to me the Casino Industry has it fair shares of Rip off Casinos. So just how effective has eCOGRA been? When all is said and done and Online gambling returns to US Players, do you see eCOGRA as a player in all this? Or have they failed in their mission and will become a part of the past? Is their efforts to little, Too Late? I think poker,casino, bingo laws are all some what related. Because I think regulating one; the others will follow soon. So I thought that article very interesting and the results not at all surprising. Just commenting. I predict one main international regulating body, with countries and /or jourisdictions being licensed, accountable and responsible to that group. Something like the United Nations of gaming. I also think that money transfer agents ( specializing in gaming only) are going to be limited to a few select , well monitored and closely supervised corporations. This will take care of any questions that internal operations of any country have regarding taxes, wins, losses or activity that any individual participates in, and will help to deter money laundering schemes and unscrupulous gaming sites. I also think that the United States is going to honor its agreements with nations that had existing permissions to access the "air domain", but with stipulations that include regulation. I also think the United States is going to be a main portal holding the high hand in the world of gambling and chance.